I’ve run ‘finder games longer than I’ve played them now, and I always encourage my players to try their hand at GMing. Partly because they have good ideas of their own, ideas that I would never have, but also because I want to play just as much! Each GM runs the game their own way and has their own set of priorities when it comes to running a game. So as someone who’s writing a column on being a GM I think I should put forward my key attributes when running games. It’s flexibility. Nothing is more important than being able to respond to your players, and re-wrap the world around them, suddenly warp the dungeon they’re in so that little key you forgot doesn’t actually lock them inside, forever, to die a horribly boring death. Without flexibility, the second your players aren’t following the story you’ve written you’re no longer playing the game, because you’re directly steering the PCs instead of them steering you. Fun and rules knowledge also come into it, as does confidence, but flexibility is above all of them. 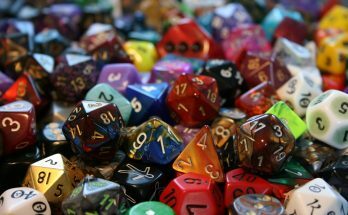 Fun is a simple enough concept: Are you interested in what you’re hoping to put the PCs through? Is a rampaging elephant a challenge? And is it MORE of a challenge when the evil necromancer appears and reanimates the elephant, just as the PCs thought they were in the clear? Or was it fun for the mayor’s daughter to get lost, and find her way into the burly fighter’s room? Or is that just mean to your players? Isn’t the mayor’s daughter idea already done to death? That all depends and is where you must be flexible. For a brand new group of players, both ideas are amazing. “We just fought the elephant and nearly died!” they shout. “Now it’s a zombie and we haven’t had one second to rest!” And of course who doesn’t want to seduce the mayoral family? Who knows what kind of boons we can get from that? Maybe the key to the city, literally! For an experienced group though I’m less certain. The mayor idea is very well trodden and fun but perhaps has already been seen enough. But the undead elephant? That’s novel, but why wait until after it’s dead? Why not have the confrontation IN an elephant graveyard – a great setting – and mid-fight the necromancer shows up and animates 3 more elephants before disappearing, as a guitar solo plays and the words “To be continued…” flash across the screen? It all depends. When I run the game I want to be confident, and I find that confidence through great rules knowledge. Where I don’t know the rules, I make an ad hoc ruling, and a mental note to chase the answer up later, so before the next session starts I can tell everyone what the correct ruling was, and how things will work from the current session onwards. With a consistent application of the rules I feel I can present a consistent set of rulings when I GM, and therefore players can rely on my style of play. Consistency leads to integrity. And sure they can decide they don’t like my style of play and opt out of the campaign, but if they come back in a year I want to present the same level of confidence and ability. The storyline is also very important but similar to fun. If you wouldn’t read a book based on the story you’re GMing, why are you running it? Is it truly that interesting that yet another goblin hoard is attacking the town the PCs are in? What if the PCs won a space cruise on the Lady of the Star cruise-ships, and it’s an interdimensional trip that takes 3 months – and they’re the only non-goblins on board. The cooks, the ship doctor, the casino lounge – all Goblins, all the time. Suddenly the PCs have to keep their wits about them, finding food that won’t poison them (goblins can eat anything, right? ), a pilot who’s NOT going to drive straight into a black hole, someone who actually knows the rules of poker, etc. Now we’ve got a much-loved part of roleplaying but in a new situation – you’re utterly stuck with them, yet living alongside them will kill you. Without flexibility in your game, session, and rules, you’re stifling the creativity and fun, rather than enabling it. If you want things to run Just So, then by all means – write a book. Starfinder and Pathfinder are organic games, and they need flexibility to be run properly. Join me next time when we look at Spring’s newest outfit, “Summer”, as well Angels in space! Last “role” for the session, now onto Creatives! GM Rolefinder – Where are you heading?